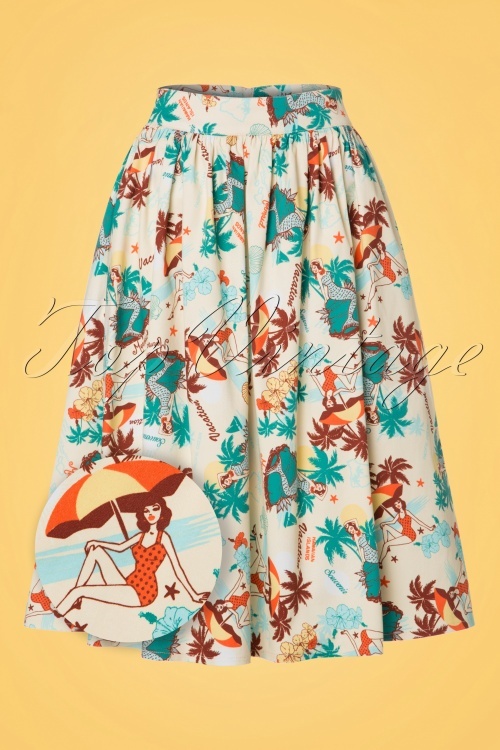 Let's get tropical with this 50s Lena Swing Skirt! 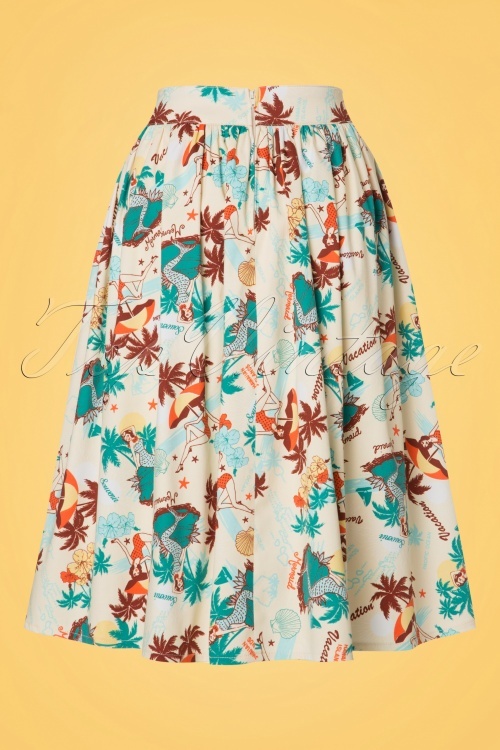 If the phrase 'dress for the job you want' were to be taken literally then the ideal job for anyone rocking this Lena Skirt would be pretty clear; carefree Hawaiian mermaid ;-) Lena is as stunning as she's flattering; she's worn high at the waist from where she runs into a flowy swing skirt. 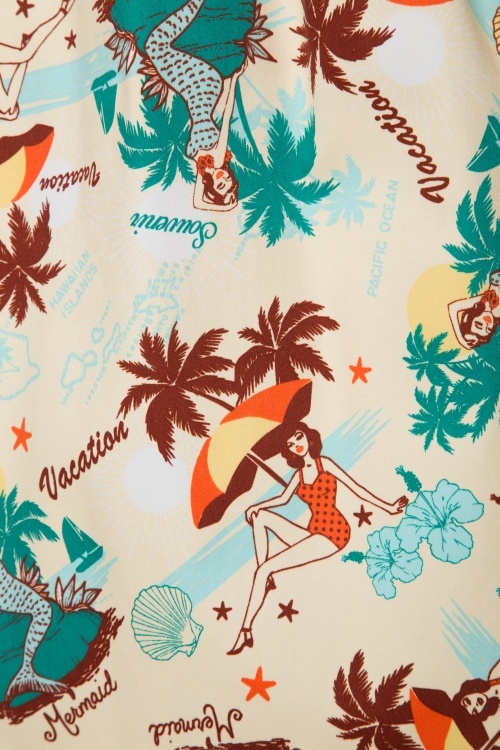 Made from a sturdy yet supple, cream coloured cotton blend with a light stretch and an all-over tropical print. And if we’re being honest, that’s a job description that none of us would turn down, mermaid it is! ... it simply didn't fit me. The colours are even better than on the pictures, and the fabric is strong and feels wonderful. The pockets are so big that you wouldn't even need a handbag when going out! LOVE! Absolutely love this skirt! Such a cute pattern and the colors are really nice. 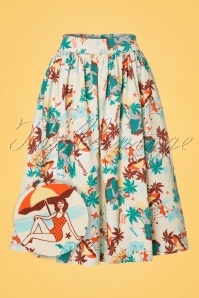 I wore it with a short sleeved brown cardi and turquoise lace-up sandals.